Apart from scientific attribution, in the public’s mind, climate change and more extreme weather are related. In a study from 2013 – the year after Superstorm Sandy, Superstorm Nemo, drought in the Midwest, and a year of record-setting high temperatures – about 40% of Americans said that global warming was responsible for 2012’s extreme weather. 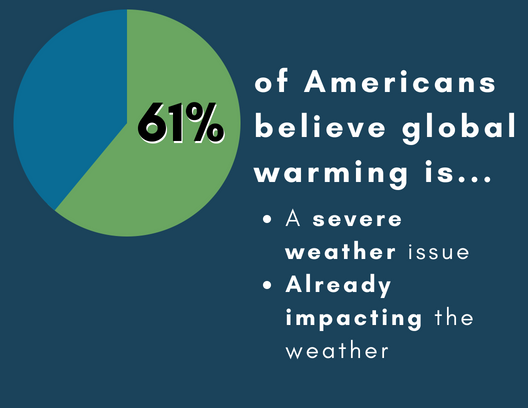 More recent YPCCC research has found that 61% of Americans think of global warming as a severe weather issue. YPCCC also found that 61% of Americans think global warming is already impacting the weather, and 29% say that global warming is impacting the weather “a lot.” About 6 in 10 Americans are worried about harm from severe weather in their own communities, noting events like extreme heat (64%), droughts (61%), and flooding (60%). 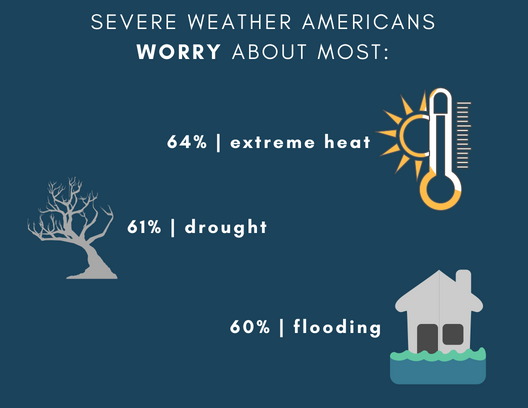 While that number is relatively consistent – 60% of respondents expressing concern about extreme weather or global warming’s impact on weather – only 8% of Americans listed “help prevent extreme weather” as their top reason to reduce global warming. There also appears to be a disconnect in how people perceive weather-related risks and their own personal levels of risk. 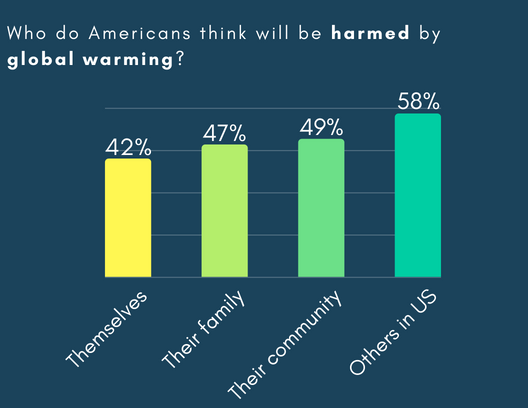 42% of Americans say that they personally will be harmed by global warming. Higher percentages see their families, communities, others in the U.S., and others in the world as likely to be harmed by global warming. It’s possible that even while recognizing a potential link between global warming and severe weather, a majority of people still see those threats as vague, far-in-the-future possibilities. People who have experienced extreme weather events are more likely to believe that climate change is happening, and they may also show increased support for climate change policies. To see this as an immediate and personally relevant issue, people may need firsthand experience. There may also be regional differences in how extreme weather events are perceived. The 2013 YPCCC study found that, while people in all regions of the country believed that weather in their local area had become “worse” in recent years, they were noticing very different types of weather. An intense hurricane season might compel coastal Americans to be more concerned about climate change, but that threat is still remote for those living in the Midwest. The type of weather itself may also be a factor. A study of residents in the U.K. found that “wet” weather events, like floods and heavy rain, were more likely to be associated with climate change than “dry” weather events like heatwaves. Knowledge of how people view severe weather, what sort of events they are most concerned about, and whether they believe climate change is a cause has implications for messaging and communications. 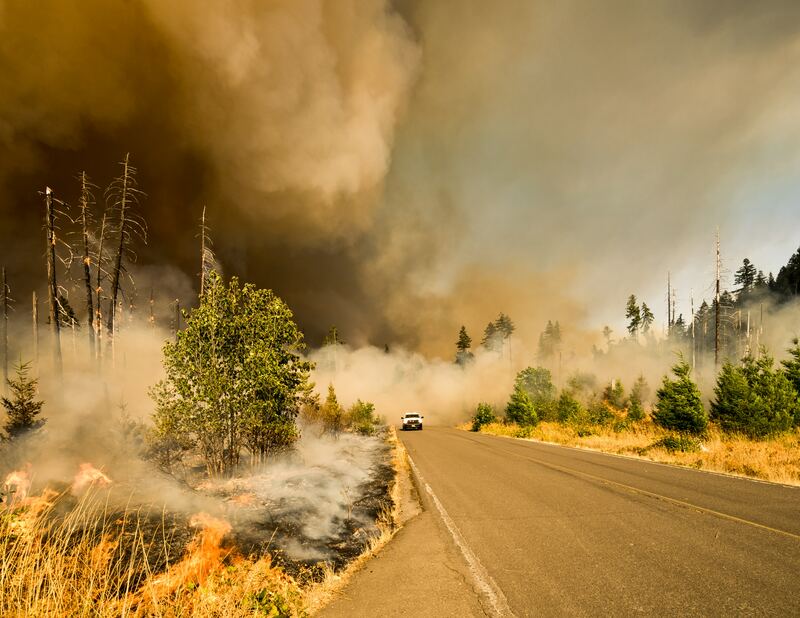 Reporting and media coverage on a heat wave or hurricane should place the event in the wider context of climate change – not declaring it a direct result of a warming planet, but explaining how it fits into larger trends. Though not everyone in the U.S. will feel the results of a specific hurricane or heatwave, it is important that these events are presented in a cohesive way. They don’t only fall into the pattern of a changing climate, they are connected to one another. If experiencing extreme weather pushes a person to support climate change policies, local decision makers should use their communities’ experiences and attitudes to determine future action on climate change. Residents and voters should have easy access to information about new policies and why or how they have been shaped by climate change and weather events. Regardless of why, a majority of Americans do see the connection between severe weather and global warming. This perception presents an opportunity to communicate information about climate change to a receptive audience. And in addition to enhancing people’s knowledge about a complicated issue, addressing weather worries could help people to feel more resilient in their changing climates.